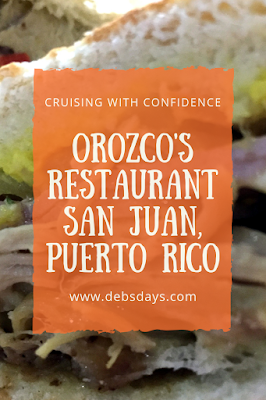 When we visit San Juan there is one restaurant we hit up for breakfast, lunch, and dinner every single time. Located in the Condado Beach area, it's an easy walk from some of the nearby hotels. It's also close to the bus stop so wherever you are in San Juan you can make your way there. Believe me, it's worth it. They are right on Ashford Ave.
*A Cubano Sandwich full of meats and cheese and pickles on delicious crusty bread. *Their homemade hot sauce rocks. It kicks everything up a notch. Just look at the spices in there! My mouth drools just looking at it. Then there is the tres leches cake, white or chocolate. Oh. My. Goodness. Both are amazing. Occasionally they have some other special flavors that are just as yummy. Unfortunately, since Hurricane Maria they've reduced their hours. No more breakfast is served and they are closed on Wednesdays. 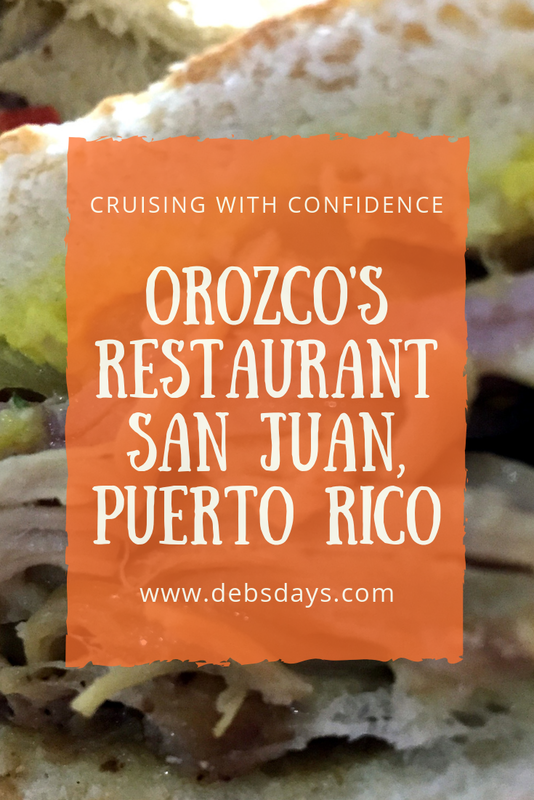 But if you are in San Juan (not on a Wednesday) and are looking for a great meal for lunch or dinner, check out Orozco's!